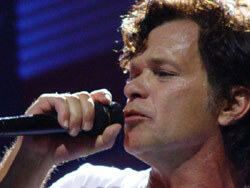 John Mellencamp's 3 year romance with actress Meg Ryan is apparently over. US Magazine maintains that the Small Town Rocker and big city actress are no longer a couple. Mellencamp and the former wife of Dennis Quaid got together not long after Mellencamp ended an 18 year marriage to Elaine Irwin Mellencamp in 2001.